Thank you for choosing world's first Grass-fed & Certified Organic Cultured Ghee! One of the traditional processes of making ghee involves culturing cream before churning it into butter and then clarifying into ghee, and we make this product by following this age-old and time-honored practice. It is not a source of live and active cultures. 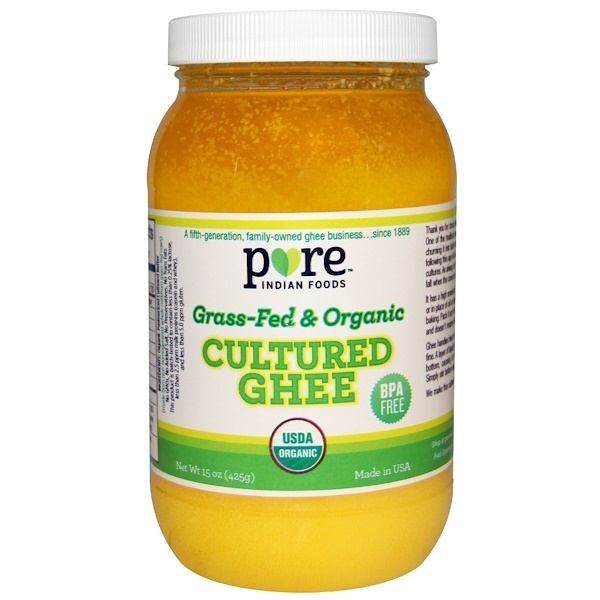 As always, our ghee is made from milk obtained only during the spring and fall when the cows are on the pasture eating rapidly growing fresh, green grass. We make this cultured ghee with love and care, and hope you will enjoy it. It has a high smoke point (485 ºF) and it won’t burn like butter. Use it as a spread, or in place of oil or butter in your cooking . Perfect for sautes, stir-fries, sauces, and baking. Pack it up for traveling, camping, picnicking, and hiking – it’s shelf-stable and doesn’t require refrigeration. Organic pasteurized cultured butter (made from non-homogenized whole milkform grass-fed cows). Non GMOs, no added salt, no preservatives, no trans fats. This product is batch-tested to contain less than 0.25% latose, less than 2.5 ppm milk proteins (casein and whey), and less than 5.0 ppm gluten. Ghee handles heat very well, and any melting in the jar during transit is safe and fine. 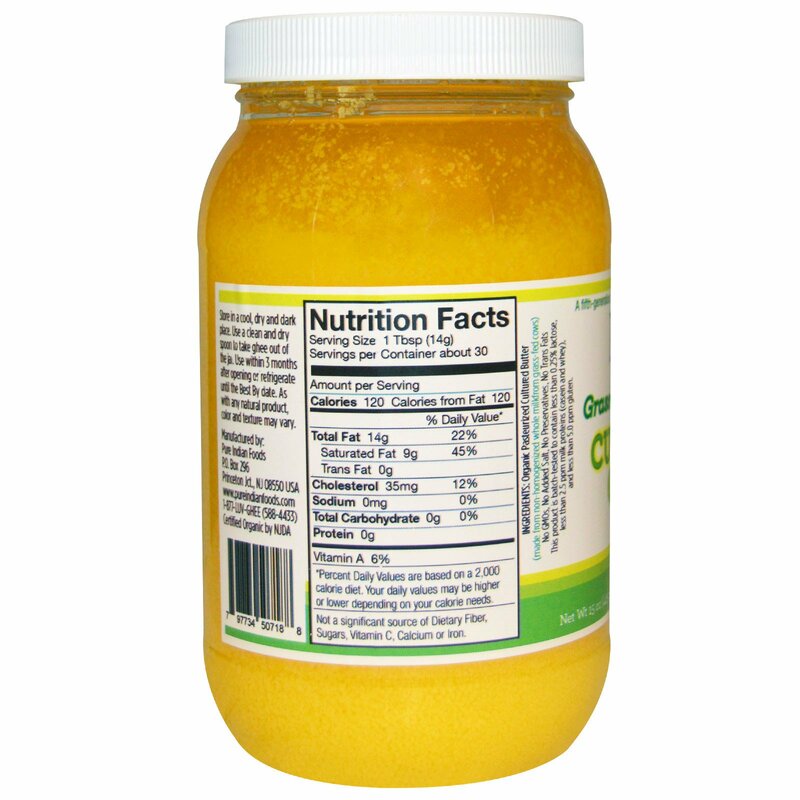 A layer of liquid ghee may form on top of the jar and grainy texture ghee at the bottom, causing it to have a “separated” appearance. This is perfectly normal. Simply stir before using.